Does grace and legalism mix? 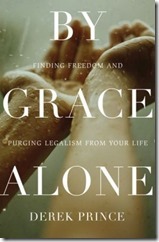 In By Grace Alone, Derek Prince tackles what he deems as the greatest single problem of the Christian church–legalism. According to the author, the ultimate purpose of the book is for readers to discover what does and does not matter in their Christian walk. For many believers we start out knowing that salvation is a gift from God but as we grow in our faith walk, there is a tendency to begin relying on our efforts to earn God’s favor. Which can lead us feeling trapped trying to conform to religious rules and trying to be good by checking off all our religious to do lists. Derek Prince points readers back to a life of freedom found in God’s grace. Within this book you will not find a hyper-grace message that frees us to live spiritually corrupt lives. Instead you find a balanced teaching of law versus grace. In reading this book, I came away with a broaden perspective of grace. One of my favorite chapters was the final one that dwelt with the presence of grace. I had never thought of grace as a teacher. Like other books I have read from Derek Prince, By Grace Alone is not a light read but the author does a good job of sharing his expansive knowledge in a way that readers can understand and apply to their lives. For anyone that has struggled with feelings of not measuring up or has been in the tiring rat race seeking perfection through self-righteousness, I would recommend you read this book. Disclosure: I was provided a complimentary copy of By Grace Alone from Chosen, a division of Baker Publishing Group, for review purposes. I was not required to write a positive review. How interesting of you to post this. I was watching an old crusade late the other night and that about how long it had been since I read anything by one of the ministers of time past. I think this book may just be a place to start again. One of my favorite books I have read by Derek Prince is Derek Prince on Experiencing God’s Power. He has a way of shedding new light on topics. 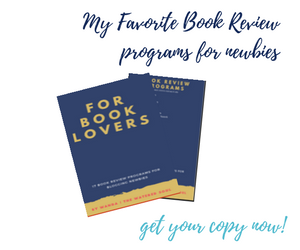 I’d love to hear what you thought about after you have a chance to read it. We get trapped in doing, in our deeds. I’ll have to see if this is available in eBook format. Hey, I found it in the iBookstore – awesome! Glad you were able to find it Alex. That sounds like a book I would enjoy. So I just clicked on over to Amazon and got the sample sent to my Kindle. Thanks for the review. I agree that legalism is one of the greatest problems in the church. It’s one reason my family finally decided to walk away from a church body and go elsewhere. It was a very hard decision, but it ended up being the best move. If we aren’t dependent upon the grace of God to save us, what are we depending on? It takes great courage to leave a church. I find myself in the midst of finding a new church home and it’s been an interesting transition. Always a joy to see you stop by Denise. Sounds like a very good book about a sometimes *delicate* subject. It seems that the best balance is to follow the Lord closely, saved by His grace, freed from our rules – but always mindful that true discipleship is costly. Following Him closely is the best balance. But I have found myself slipping into the frame of thought that I needed to mark off my to do’s so that I could be deemed a good Christian. Hope you find the inspiration you need for your next creative adventure. It should always be ‘amazing’ to us… I think many of us fall into the trap of legalism. I agree Mike. I think we slip into legalism far often than we even realize.